With over 20 years of ophthalmic experience, Dr. Laurence T.D. Sperber can help patients with cataracts restore health and function to their eyes with premium IOLs, or intraocular lenses. While monofocal lenses can only address one aspect of your vision, premium IOLs can correct both long-distance and close-up vision impairment caused by cataracts. Our office in New York, NY, utilizes the latest technology, including the ORA™ System, and will personalize treatment according to your unique concerns. As one of the first surgeons in the United States to perform laser cataract surgery, Dr. Sperber can help you eliminate clouded vision as well as correct symptoms of other conditions such as astigmatism, nearsightedness, and farsightedness in one comprehensive treatment. How Do Premium IOLs Work? After correcting damage or abnormalities in your cornea using laser cataract surgery, Dr. Sperber will use an acrylic or silicone lens to replace your natural eye lens. By combining laser surgery with IOLs, Dr. Sperber can create a smooth and secure incision where your lens will be placed. 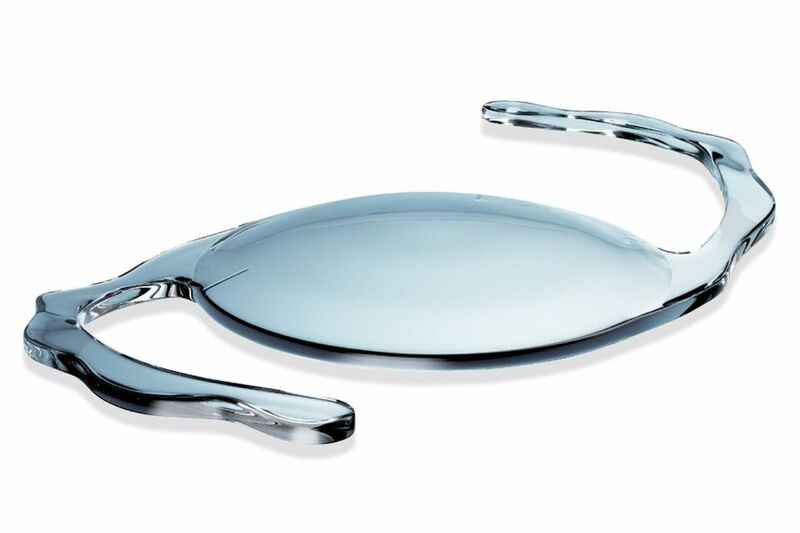 When placed on an even surface, your IOLs will fit better and improve your vision more dramatically. When planning your surgery, Dr. Sperber will closely assess the depth or your eye, pupil size, and curve of your cornea to help him determine if a premium IOL is right for you. If you wear contact lenses, you should stop wearing them leading up to the exam to ensure that we get the most accurate measurements. To accurately determine the optimal position for your IOL. Dr. Sperber will conduct an optical coherence tomography test (OCT) to create a 3-D map of the surface of your eye. Multiple studies by the National Center for Biotechnology Information have found that premium IOLs can help improve your vision and make you less dependent on glasses or contacts. On the day of your surgery, Dr. Sperber will numb your eye with drops or local anesthesia. With the help of a femtosecond laser, he performs laser cataract surgery to make precise incisions in your lens and target only the damaged tissue while leaving the healthy tissue undisturbed. This laser-assisted technique can reduce the risks associated with cataract surgery, minimize your level of discomfort, and help you achieve a faster recovery. Once the cataract has been removed, Dr. Sperber will insert the folded IOL implant into the small incision. The lens will open once it is in its permanent position. Before completing the procedure, Dr. Sperber may use ORA technology to confirm the type and power of your lens best meet your needs. Most patients heal on their own, but depending on the complexity of your case, you may require self-dissolving sutures. Recovering from premium IOL placement is relatively quick, and most patients are usually able to return to work or normal activities on the same day of surgery as long as those activities do not cause eye fatigue. You should avoid strenuous activity and refrain from rubbing your eyes, as this can affect your results. Over the next six months or so, your body will continue to adjust to the IOLs. Most patients are able to achieve optimal vision correction within six months. It is normal to experience blurring in the first few days following your surgery, but this should improve over time. Most patients experience significant improvement in their vision and do not need to wear glasses or contacts once their final results are achieved. Multiple studies by the National Center for Biotechnology Information have found that premium IOLs can help improve your vision and make you less dependent on glasses or contacts. Although complications following premium IOL placement are very rare, Dr. Sperber can closely guide you through the preparation and recovery to reduce your risk of complications. If you are considering laser cataract surgery with premium IOLs, we can help you reduce your need on contacts or glasses with more precision and accuracy than ever before. Schedule a consultation at our office by calling (212) 753-8300 or contacting us online.